Israeli Defense Minister to share stage with Iran's Foreign Minister at Munich Security Conference. They are not expected to interact. 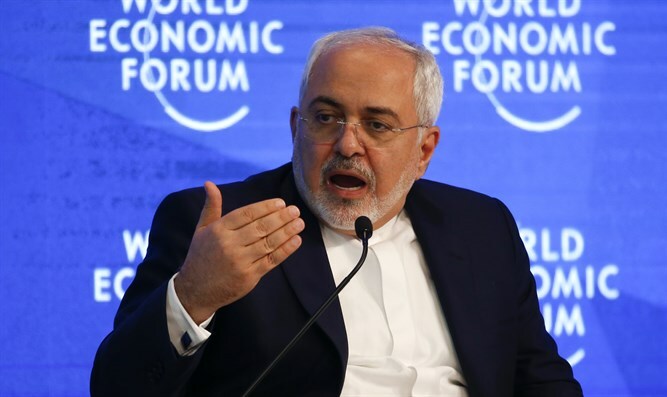 Defense Minister Avigdor Liberman and Iranian Foreign Minister Mohammad Javad Zarif will share a stage on Sunday at the Munich International Security Conference, i24news reported Friday, citing a conference schedule. Each minister has been allotted 15 minutes to speak, but Liberman's office said that the participants are not expected to engage in dialogue or interact with one another, according to i24news. In 2014, then-Defense Minister Moshe Ya’alon was present during a Munich Security Conference panel in which Zarif spoke about the Middle East. Israeli sources explained at the time that Ya'alon arrived early for his speech on Israel and the Palestinian Authority (PA) and decided to sit in on the conference. "The Minister wanted to hear things firsthand, and didn't leave the room," an official stated. "He just wanted to hear the Iranian position." Iranian leaders regularly threaten Israel and call for it to be wiped off the map. In December, Iran’s defense minister warned that if U.S. President Donald Trump’s policies lead to a war in the Middle East, it would result in the destruction of Israel. Earlier this month, a senior Iranian official threatened that his country would immediately strike Israel if the United States "makes a mistake", warning that "only 7 minutes is needed for the Iranian missile to hit Tel Aviv." Many of the threats against Israel have come from Iran’s Supreme Leader, Ayatollah Ali Khamenei, who has referred to Israel as a “cancer” and in the past threatened to "annihilate" the cities of Tel Aviv and Haifa.